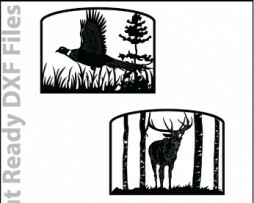 This Fireplace Screens DXF file download includes 10 individual Fireplace Screens as well as a PDF file that can be printed and used for viewing. These Fireplace Screens are sized to be cut 56″ wide x 34.5″ tall. Also, Fireplace Screens can be cut smaller with CNC waterjet or laser cutting systems. 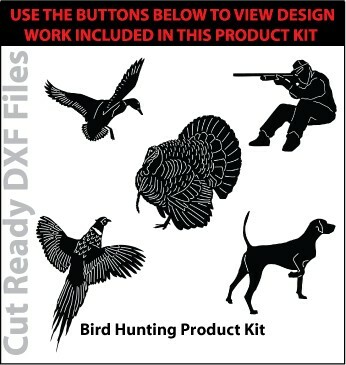 This Bird Hunting DXF file download contains 40 individual DXF files as well as a PDF file that can be printed and used for viewing. 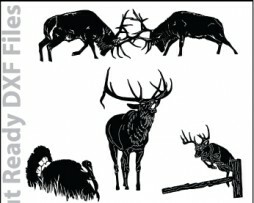 These DXF files will range in size but most will not cut correctly if cut smaller than 6″ x 6″, most designs are better suited for a 9″ x 9″ or 12″ x 12″ sizing and there are a few that may need to be cut larger to accomodate the detail and numerous interior cuts. Also, designs can be cut smaller with CNC waterjet or laser cutting systems. 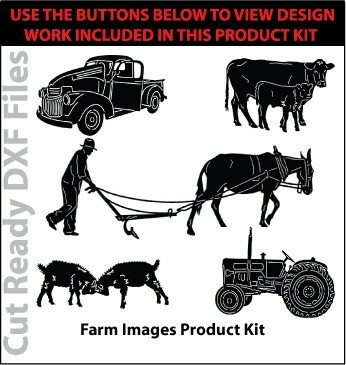 The Farm Images DXF File download includes 52 individual DXF files as well as a PDF file that can be printed and used for viewing. These DXF Files will range in size but most will not be cut correctly if cut smaller than 6″ x 6″ . Most designs are better suited to be cut 9″ x 9″ or larger. Some designs will need to be cut larger to accomodate the detail and interior cuts. Also, designs can be cut smaller with CNC waterjet or laser cutting systems. 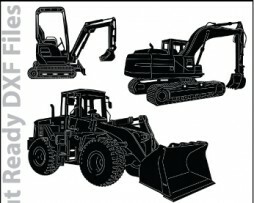 This Heavy Equipment DXF file download includes 20 individual DXF files as well as a PDF file that can be printed and used for viewing. 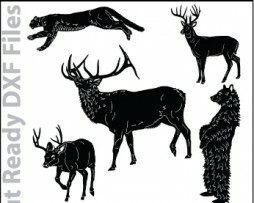 These DXF files will range in size but most will not cut correctly if cut smaller than 30″ wide. Most designs are better suited to be cut 36″ wide. Some designs may require to be cut larger (48″ wide) to accomodate the detail and numerous interior cuts. Also, designs can be cut smaller with CNC waterjet or laser cutting systems. 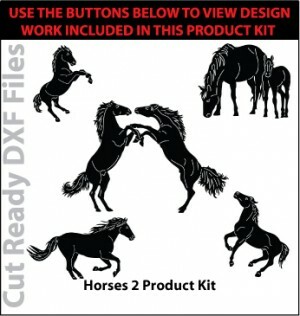 This Horses 2 DXF file download includes 20 individual DXF files as well as a PDF file that can be printed and used for viewing. 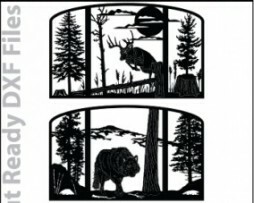 These DXF files will range in size but most will not cut correctly if cut smaller than 9″ wide or 9″ tall. Most designs are better suited to be cut 12″ wide or 12″ tall. Some designs may require to be cut larger to accomodate the detail and numerous interior cuts. Also, designs can be cut smaller with CNC waterjet or laser cutting systems. 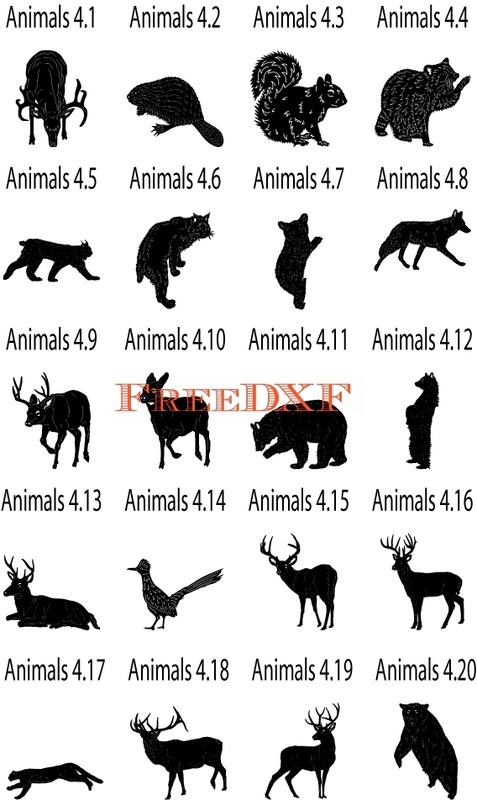 This Animals 4 download includes 20 individual DXF files as well as a PDF file that can be printed and used for viewing. These DXF Files will range in size but most will not be cut correctly if cut smaller than 12″ x 12″ . Most designs are better suited to be cut 16″ x 16″ or larger. Some designs will need to be cut larger to accomodate the detail and interior cuts. Also, designs can be cut smaller with CNC waterjet or laser cutting systems. 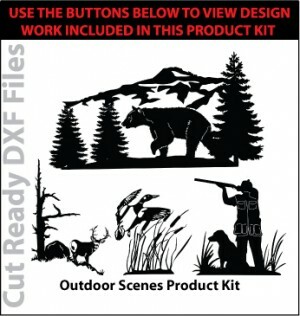 This Outdoor Scenes DXF file download includes 20 individual DXF files as well as a PDF file that can be printed and used for viewing. These DXF files will range in size but most will not cut correctly if cut smaller than 24″ wide. Most designs are better suited to be cut 36″ wide. Some designs may require to be cut larger (48″ wide) to accomodate the detail and numerous interior cuts. Also, designs can be cut smaller with CNC waterjet or laser cutting systems. This Address Signs DXF File download includes 10 individual Address Signs as well as a PDF file that can be printed and used for viewing. These Address Signs are sized to be cut 48″ x 40″ Also, Address signs can be cut smaller with CNC waterjet or laser cutting systems. 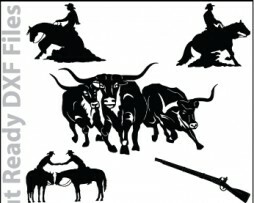 This Cowboy Rodeo Scenes DXF file download includes 20 individual Cowboy Rodeo Scenes as well as a PDF file that can be printed and used for viewing. These Cowboy Rodeo Scenes are sized to be cut 32″ wide, the height will vary between 16″ tall and taller. 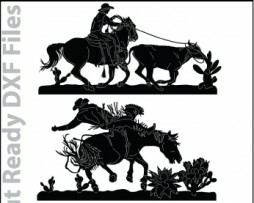 Also, Cowboy Rodeo Scenes can be cut smaller with CNC waterjet or laser cutting systems. 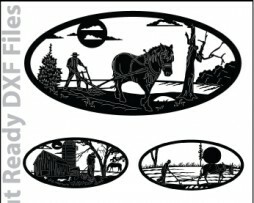 This Cowboy & Western DXF file download includes 44 individual DXF files as well as a PDF file that can be printed and used for viewing. These DXF files will range in size but most will not cut correctly if cut smaller than 16″ wide x 16″ tall. Most designs are better suited to be cut 24″ tall x 24″ wide. Some designs may require to be cut larger to accomodate the detail and numerous interior cuts. Also, designs can be cut smaller with CNC waterjet or laser cutting systems.